Smart speakers are big business, with about 39 million Americans now owning one according to a recent poll undertaken by US radio syndicator NPR and Edison research. That roughly translates as 16% of all Americans, one in six. That’s a 128% increase in the numbers from January 2017. 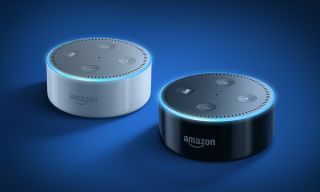 While that rate of an increase is pretty staggering, it’s not that surprising when you think that the range of smart speakers has expanded to include some very cheap options like the Google Home Mini and the Amazon Dot. This was especially true across the Black Friday period, when price slashes and bundles put the price of Google's Home Mini in the sub-$30 bracket. Unsurprisingly there were a large amount of the speakers purchased over the period. Amazon rarely discusses exact numbers but, according to the study, the split falls in Amazon’s favour with 11% owning an Alexa-powered device, towering over Google Home’s 4% taking. NPR’s research found that 7% of all Americans purchased a smart speaker over the 2017 holiday season, with 4% buying their first smart speaker. This not only shows the number of people wanting to jump on the bandwagon, but also the number of people that like their speakers enough to purchase another, either for themselves or as a gift. What’s really interesting from the research is that 64% of all owners of a smart speaker say that they couldn’t go back to their life without it. 39% said speakers are replacing time spent with an AM/FM radio. What is surprising is the 30% that said their smart speakers are replacing time spent with a television, and 34% say that it replaces time with a smartphone. Although, it’s not all bad news for the smartphone, with 44% of smart speaker owners saying they use voice assistants more on their phones since getting a speaker. If the recent showing at CES is anything to go by, we are entering an age were voice assistants are in everything from cars, to TVs, to toilets, not to mention the ever-increasing range of smart speakers including Apple's HomePod, Facebook's rumored Portal device, and the vast quantity of offerings from third-party manufacturers. It may seem that we'll reach saturation pretty quickly, but if a study from the Consumer Technology Association is to be believed, 44% of Americans plan to buy a smart speaker in 2018, so expect to see – or should that be hear – a lot more from voice assistants in the coming months.